Broaden my horizons is something that pushes me forward in life. This includes of course my professional life. It isn’t so easy to find challenges outside the world of education, though. Clearly, a university degree, a creative mind and a motivated spirit aren’t always the right qualifications. However, trying new things also includes my work in the kitchen. I want to try new techniques, use new flavors and discover new products. This includes learning more by following a gourmet cooking course, going to restaurants so I can see how they make it and visiting events where I discover the new products. One of those events was a beer festival, called Bier Anders, in Tongeren, the oldest city of Belgium. (link: http://www.bieranders.be) It was a festival with a lot of small breweries. Such a festival is the perfect opportunity to discover unknown beers. Nowadays, a lot of Belgian men (and women) are making their own beer. A lot of those beers are very similar to the mainstream well-known beers. Sometimes, however, they are making something new and special. The beer festival in Tongeren had both of those breweries: well-known and unknown. Of course I tasted beer of the unknown ones. I tried three beers: Vicaris Tripel/Gueuze, Quinto, Triporteur. The first two are made by Dilewyns, a brewery in Dendermonde. 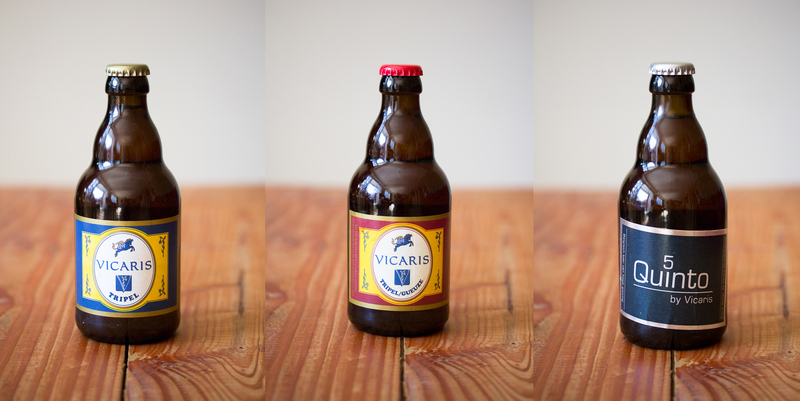 (link: www.vicaris.be) That brewery also makes Vicaris-Generaal. Does that beer ring a bell? I served it on my glorious event, “The tour of Flanders: beer and cycling”. (link: Tour of Flanders) Vicaris Tripel/Gueuze was just like Generaal a delicious beer. It combines the best of a gueuze with the best of a tripel. It has a very tasteful flavor, with the taste of hops and herbs. 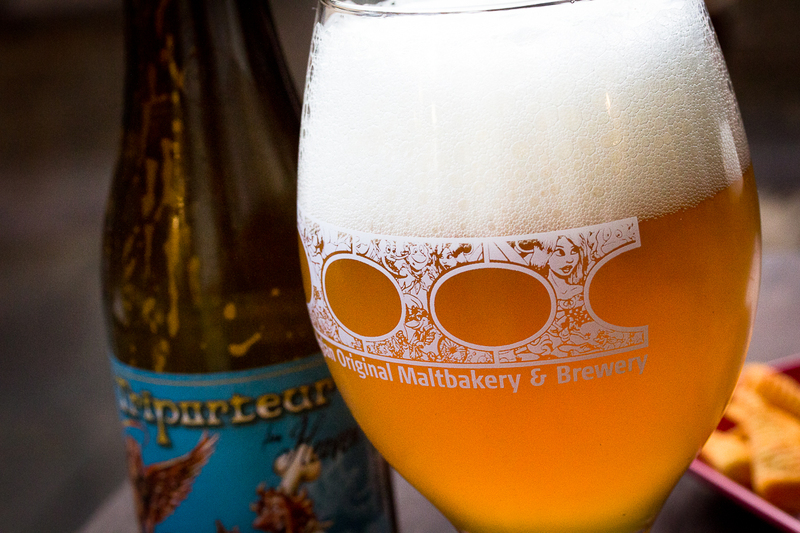 It was the first time in the world that a brewery reached to combine a tripel and a gueuze beer. Quinto is a beer that’s supposed to taste like a tripel, but is as strong as a normal lager. The use of the verb to suppose is not by accident. It’s supposed to, but it’s not like that. (my opinion). They gave it a try and that’s why they deserve a big thank you, but the result wasn’t like it had to be. At home I tried their Vicaris Tripel and this beer was again a winner. It stays my favorite brewery and visiting this brewery is high on my to-do-list. 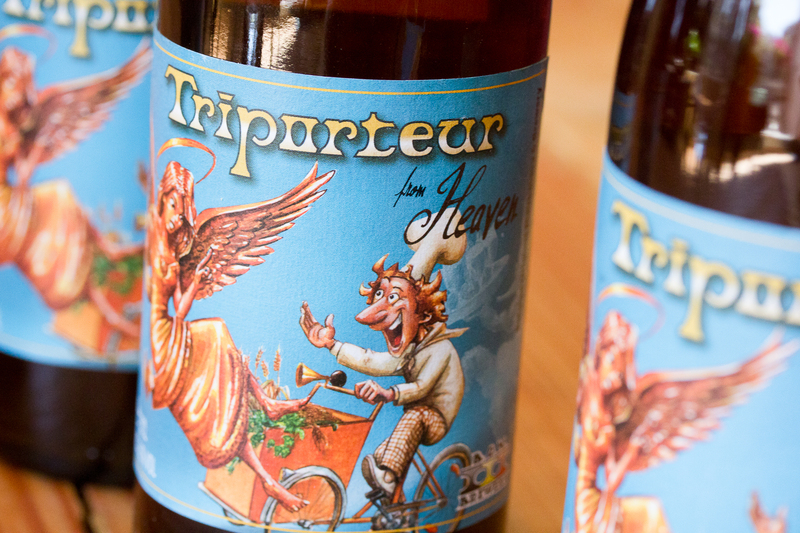 The third beer is Triporteur from heaven. It’s the first beer from the BOM Brewery. (link: www.bombrewery.com) In fact, there is a pretty funny story involved. A couple of months ago I met some guys on a bachelor party in Ghent. They were selling homemade beer called Triporteur from heaven. I could taste one and I really liked it. Now I met them again in Tongeren. The beer was still as good as a couple of months ago. The brewery bakes, as first malt bakery in the world, all our their malts themselves. The homemade malt is the basis for a secret composition of ingredients. Their goal is to to keep experimenting and create new beers. Their first beer was already a winner. It was the first time I visited the festival, but I liked it. I discovered some new beers, that I will keep in mind for one of my next events. Bier Anders, I will come back!